Holy murder mansion, Batman! MTV is planning on giving us a lot of extra Scream just in time for Halloween. 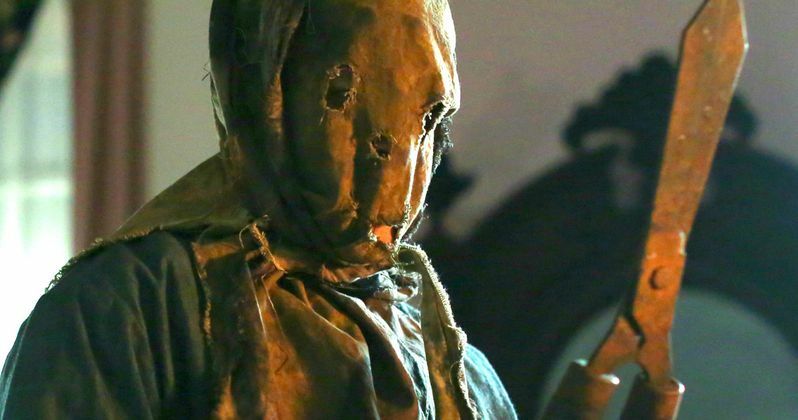 The Scream Season 2 finale may have seemingly, finally, put the murder mystery at play to rest, but this special 2-hour episode of the show aims to tie up some of the remaining mysteries from these previous episodes. MTV revealed a trailer for the special Scream episode last night, which teases an island murder mystery in a very large mansion. It may be in poor taste to say it looks like fun when a bunch of teenagers are about to be murdered, but this episode looks like it has the right balance of cheese and scares that the original Wes Craven directed Scream movies had. That is undoubtedly fun and perfect for the Halloween season. The story in this Scream Halloween special picks up eight months after Kieran's arrest at the end of season 2. Noah and Stavo have created a best-selling graphic novel based on the Kieran Wilcox murders, but now pressure is mounting for them to write a follow-up. Plus, the rest of the gang is eager to be far away from Lakewood, given that the anniversary of Piper's killing-spree is upon them. So, they decided to take a trip to Shallow Grove Island, where Noah and Steve are researching another series of murders for their next book. But things get dicey when a storm approaches and they are stuck in a big mansion and they find themselves face-to-face with a new killer. And maybe an old one too as Brandon James' return to Lakewood is teased. The new killer that is being researched, and seemingly comes back in some form or another, is a Lizzie Borden type character. The cool part? Instead of using an ax she uses hedge clippers! Plus, she wears a really creepy bag on her head, which makes it all the more creepy. It should be fun to watch in this special episode of Scream, especially since this seems to be paying homage to the 1981 slasher movie The Burning. We still don't know for sure if Scream is getting picked up for a third season, but this new Halloween special gives us hope. The Scream Halloween special airs on Tuesday, October 18 at 9 p.m. ET. Be sure to check out the trailer for yourself below.